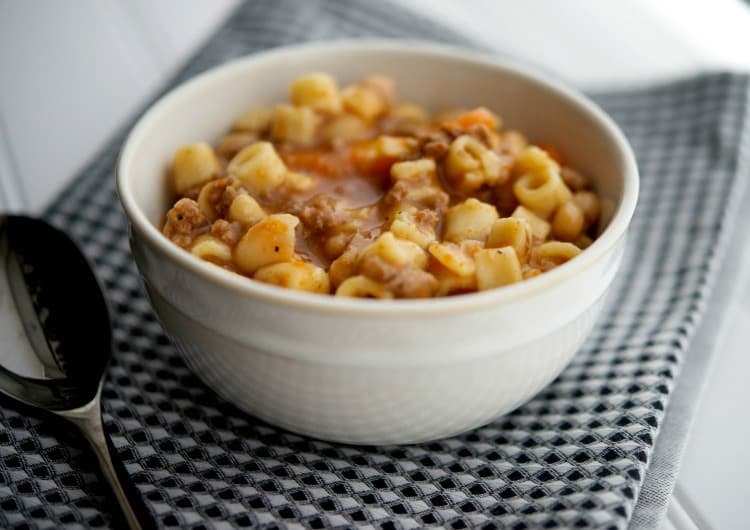 Pasta e Fagioli: This classic pasta and bean Italian soup is loaded with flavor and with the added ground beef, it makes for a satisfying meal. I love Pasta e Fagioli and it literally means “pasta and beans”. Everyone has their own version of this favorite Italian soup and I like to add some ground beef to mine to give it even more flavor. I guess this is quite similar to the Olive Garden version; though they use a variety of beans whereas I just add cannellini beans so I can’t truly call it a copycat, the taste is fantastic nonetheless. This Pasta e Fagioli is quite simple to prepare as well and can be made the day before and reheated. It actually tastes even better once all of the flavors sit together for a while. Brown the ground beef in a large pot or Dutch oven; remove from pan and set aside. In the same pan, heat some oil and add onion, garlic, carrots, celery, and tomatoes. Sauté for 3-5 minutes until the vegetables start to soften. Add the browned ground beef back to the pot along with beef broth, water, tomato paste, oregano, beans, and Pecorino Romano cheese. Bring to a boil then let simmer for 40-45 minutes. Add the pasta (ditalini); then let simmer for another 15 minutes. This batch makes 8 cups and can also be frozen (though the pasta may break apart a bit once defrosted). 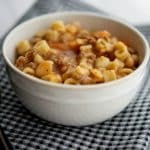 This Pasta e Fagioli recipe is such a hearty, robust soup that we just eat this with a nice, warm loaf of crusty Italian bread (great for dipping!) ~Enjoy! Brown the ground beef in a large pot or Dutch oven over medium high heat. Remove from pan and set aside. In the same pan, heat the oil and add the onion, garlic, carrots, celery and tomatoes. Sauté for 3-5 minutes until the vegetables start to soften. Add the browned ground beef back to the pot along with beef broth, water, tomato paste, oregano, beans, and cheese. Bring to a boil then let simmer for 40-45 minutes. Add the pasta; then let simmer for another 15 minutes. 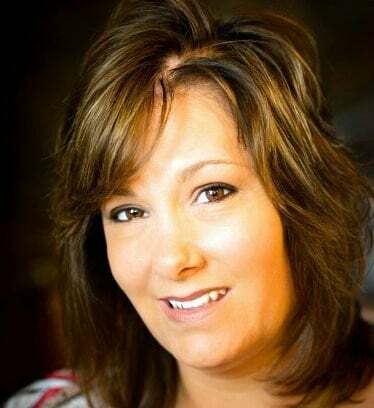 Carrie, this looks absolutely delish! 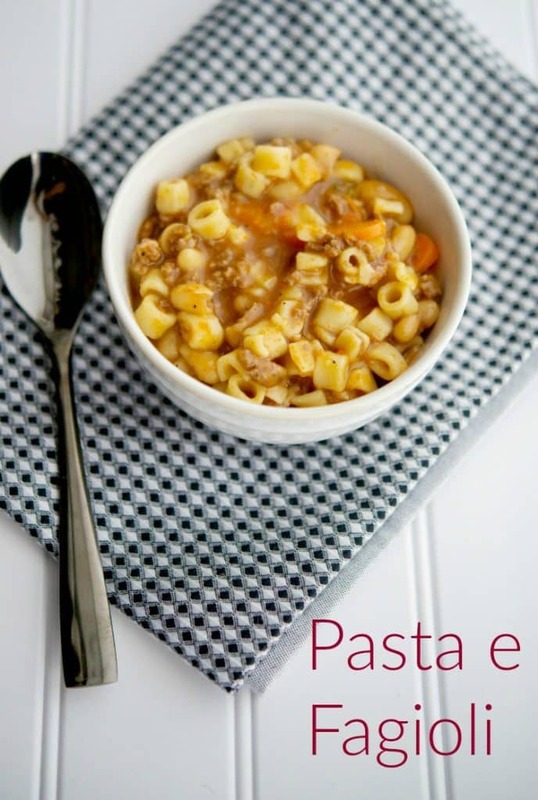 Pasta e Fagioli is one of my favorites soups, and I really love your addition of ground beef! yum! i love any kind of pasta! This is so hearty too, enjoy! Thank you for sharing this recipe, Chris loves this soup.